The great importance of floating wood, and boat navigation on the Vltava in general, compelled people to think about (and sometimes even attempt) making this longest of Czech rivers navigable as far back as medieval times. 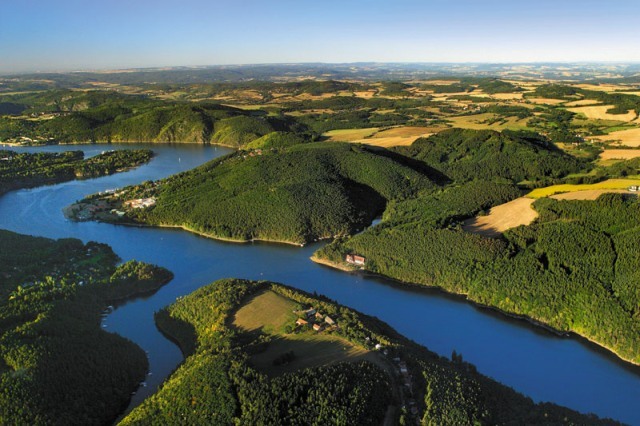 For example, Charles IV thought about connecting the Vltava with the Dunaje (Danube) River, which would have made Prague the centre of European trade. The first realistic project at making the Vltava navigable from the town of České Budějovice to the town of Mělník appeared only at the end of the 19th century: The first proposal counted with a large number of low weirs (steps), with smaller locks. 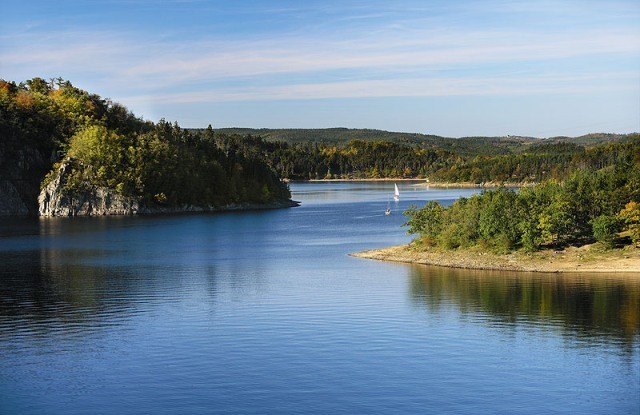 However, later on when considering making the river navigable, another requirement came up – the utilisation of hydro energy. 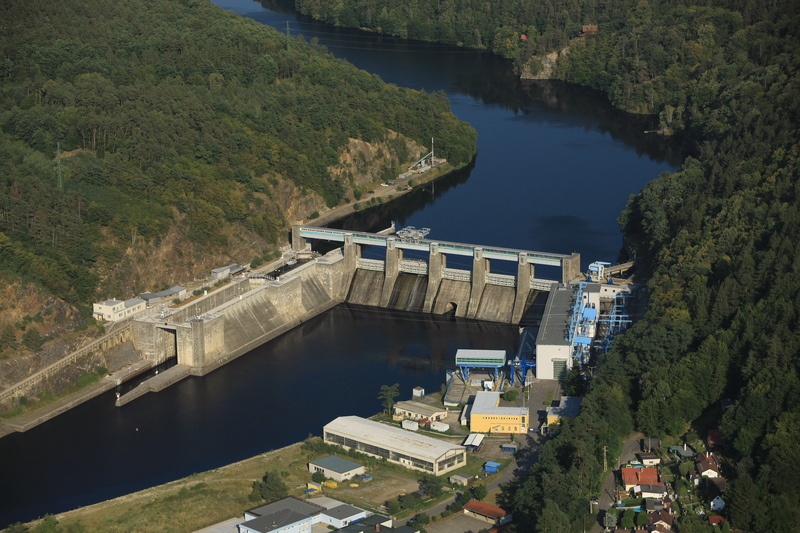 Unfortunately, these two economic requirements – navigability and simultaneously the utilisation of the energy potential of the Vltava – clashed, thanks to which individually proposed projects for the construction of steps on the Vltava markedly differed. 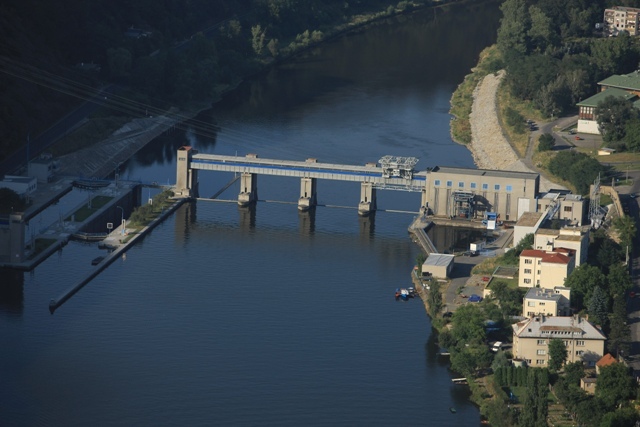 Thanks to prolonged disputes, a favourable economic boom was passed up and the construction of the first step of the future Vltava cascade was commenced only in 1930 (a weir with a lock at the village of Vrané nad Vltavou, completed in 1935). 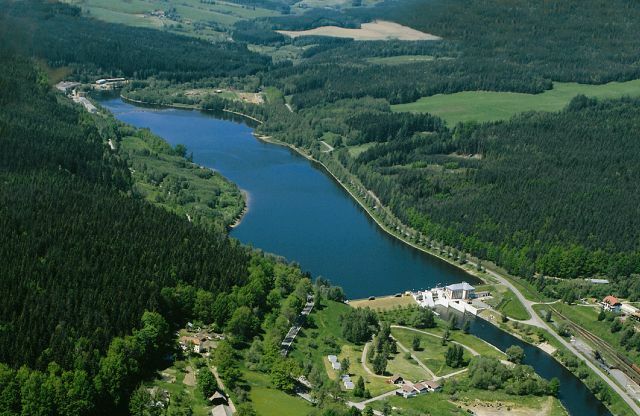 This was followed by the dam at Štěchovice (1937 – 1945), then the Slapy Waterworks (1949 – 1955), and this was followed by several steps, constructed almost concurrently: Lipno I and Lipno II (1952 – 1959), the largest dam in the country Orlík (1956 – 1966), and its equalising step Kamýk nad Vltavou (1956 – 1966). The newest steps of the entire cascade are the Hněvkovice and Kořensko Waterworks, built concurrently during the years 1986 to 1991. The plans of water management people in the 1950s counted with the construction of other dams, e.g. 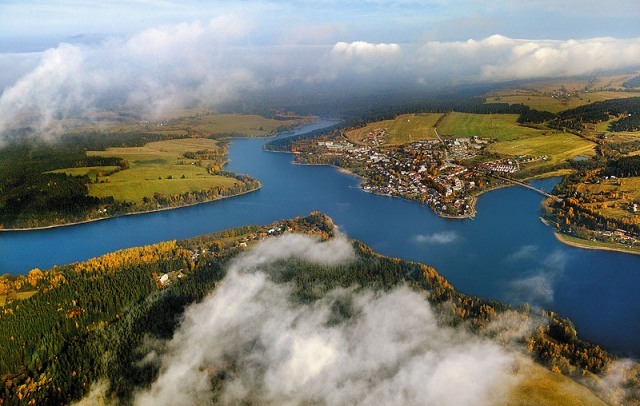 Český Krumlov and Dívčí Kámen, in order to utilise the power engineering potential of the Vltava almost to the fullest. Fortunately, these remained just plans.